Music is full of legends who died too young and Chano Pozo is a prime example. Through his collaborations with Dizzy Gillespie, in less than two years Chano Pozo laid the foundation for the style of music known as Latin jazz. A significant number of Cuban musicians became extremely popular on the USA scene during the forties and fifties—think of Desi Arnez who ended up with a television program (I Love Lucy) or the king of the Mambo Xavier Cugat. But as popular as his Cuban contemporaries may have been, none of them exerted a massive influence on the music comparable to Chano Pozo. Over sixty years after his death—and sixty years is two lifetimes in the music business—Chano’s music is still performed and recorded. “Manteca” is a jazz classic and "Tin Tin Deo" is not too far behind. I believe the reason the music of Chano Pozo has been both seminal and enduring is because Chano hooked up with Dizzy who was not only one of the pioneers of bebop but also arguably the most enduring of all the bebop musicians superceded only by Thelonious Monk. What Pozo, Gillespie and Monk had in common is that in addition to being distinctive personalities and challenging instrumentalists, all three of them were also composers whose music defined a genre. A distinguishing factor for Chano Pozo is that he was on the American scene for less than two years before he was killed in a bar room fight. Chano arrived in USA in 1947 and was killed on December 2, 1948. 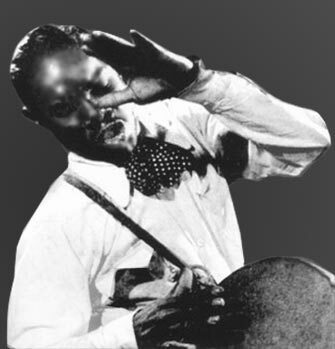 Born Luciano Pozo Gonzales on January 7, 1915 in Havana, Chano had earned a reputation as a singer, dancer, drummer and composer long before leaving his native land. Thanks to Dizzy’s interest and insights, Chano’s music outlived dance fads and mainstream’s fickle and temporary interest in “exotic” Cuban music. The rise of Castro and Che in 1959 resulted in a virtual lock-down on free-flowing cultural exchanges between Cuba and the USA. But even the anti-communist hysteria of the fifties did not dim the appreciation for Chano’s music in jazz circles. Again, it is important to recognize that Dizzy Gillespie was that rare combination of entertainer and innovator. Dizzy had a reputation for clowning around but he also had a reputation for producing cutting edge music. Dizzy’s bebop oriented big band was the most progressive big band of its era. Musicians listened to Gillespie for the latest ideas about what could be done with innovations in rhythm, harmony and melody. As a result when Chano joined Dizzy, the duo’s music became the rage among the hip set. The Chano Pozo Mixtape features three elements: 1. famous Latin jazz compositions, 2. a number of conga features for Chano, and 3. Oral history in the form of insightful commentary about Chano from jazz pianist/educator Billy Taylor, Dizzy Gillespie, Latin jazz trumpeter and bandleader Mario Bauza and saxophonist Cecil Payne. Indeed, the commentary is both informative and entertaining as the musicians-turned-storytellers give us much more than just dry history. Although the audio quality from the recordings of the late forties is not the best, Chano’s music is absolutely essential listening for anyone who wishes to grasp the roots of Latin jazz.